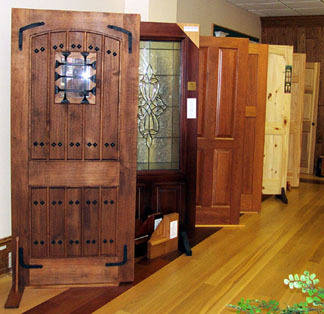 The Hardwood Company is pleased to carry a variety of interior doors including Rouge Valley doors. All of our doors feature excellent quality, but the vintage craftsmanship & construction of a Rouge Valley door is truly special. Solid wood cores, solid wood jambs, ball bearing hinges, catalyzed conversion finish, and mortise & tenon frame construction makes a Timbergate door truly stand out.